Our 9th annual conference will be on Friday, August 23, 2019 in downtown Columbus at the Hyatt Regency. We look forward to seeing you there! Alumni registration opens on April 1st (no joke there!). We will use the Whova app for day-of conference information, parking updates, and registration. Registration is now open if you are a returning BA-CON attendee. In our 9th year as a conference, we have grown from an initial idea among a few passionate analysts, to a regional conference attended by thousands over the years. We strive to deliver the highest quality presenters, food and venue for the attendees and sponsors. BACON brings the attendees to you with giveaways, break stations and media engagements. Sponsor now and the benefits begin with company profile emails and website exposure. If you would like to discuss our sponsorship packages in more detail, please contact Erin McMichael, BACON Event Coordinator at 614.738.0924 or Erin@fantasticeventdirection.com. Print our sponsorship information here. BACON brings together analysts and leaders from throughout the Midwest and beyond. Many of the largest employers in Central Ohio look forward to BACON as a way to share and grow their knowledge and sense of community. 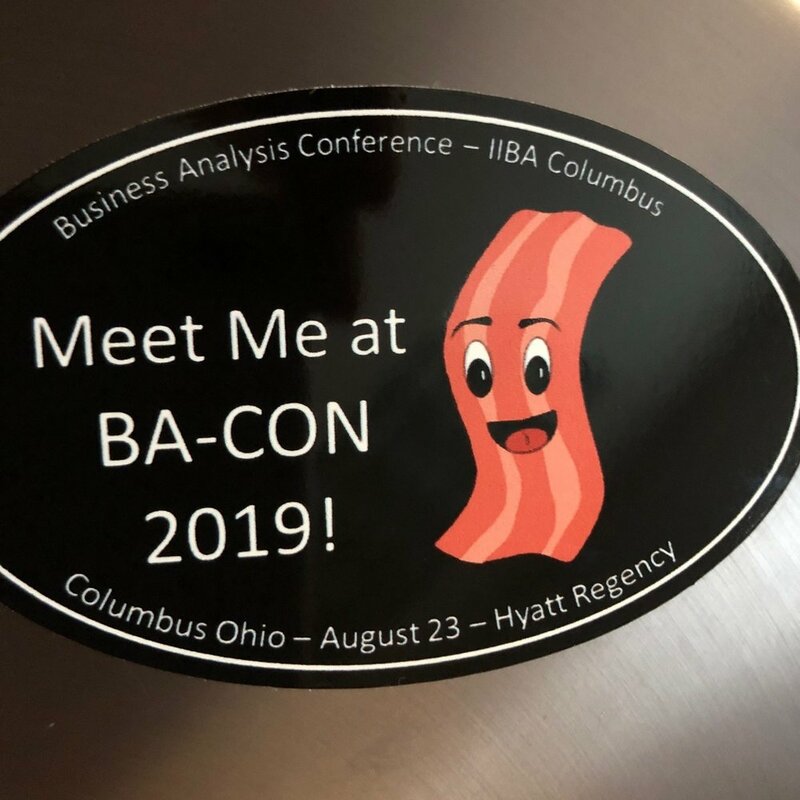 Via our conference app, Whova, conference sponsors had more than 9,000 sponsor impressions during 2018 BACON!